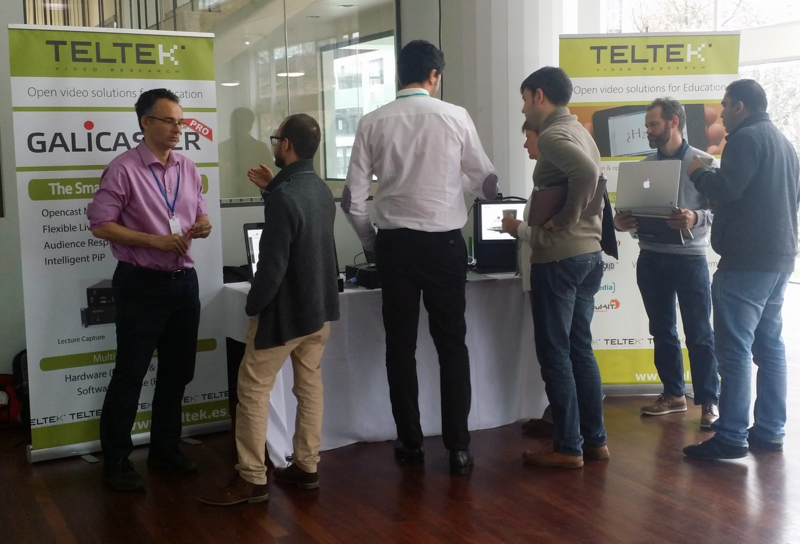 The complete Galicaster Team of Teltek was at the 2015 Opencast conference introducing its new products and technological advances: Galicaster Pro and the new “Smart­-CA” architecture. Hosted at the University of Manchester from 25 to 27 March, Opencast community is a collaboration of individuals, higher education institutions and organizations working together to develop, define and document best practices for management of audiovisual content in academia. Telek introduce the exclusive features of Galicaster PRO, its new powerful lecture and conference recording software. This compiled, optimized and enriched version of Galicaster Software improve Matterhorn deployment, reduce production time and costs and enriches the professor and student experience. After two years working on this technology, Teltek presented its proposal for the new “Smart­-CA” architecture for OC­MH at the 2015 Opencast Conference. 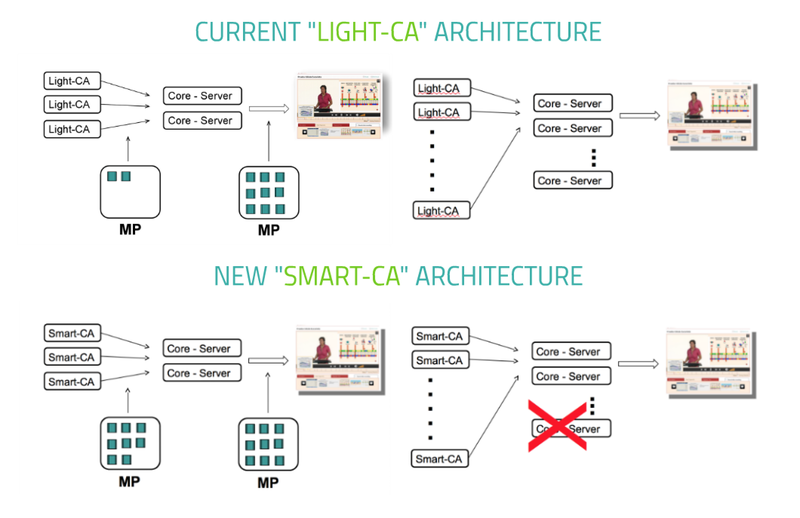 As an evolution of the standard Light ­Capture Agent architecture, the Smart­ Capture Agent architecture allows a simpler Opencast core as many video processing tasks are done in real­time in the smart capture agent: recording, slide change detection, slide capture, OCR, Side By Side encoding as well as master and delivery encoding. Thanks to these features, a very rich MediaPackage is delivered to the core so it gets off­loaded of CPU intensive tasks, reduces publishing time and allows the platform to easily scale­ up to hundreds of capture agents at a lower overall deployment and operation cost.